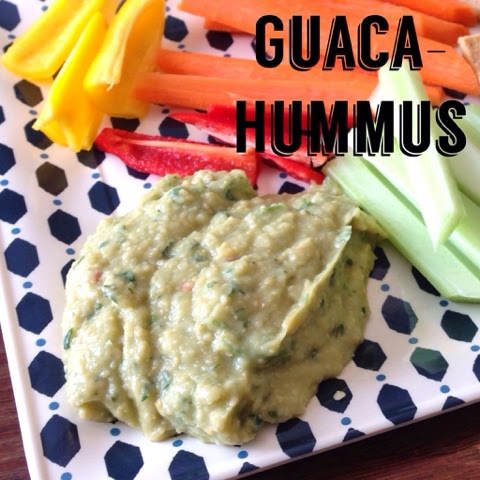 A New Twist on Hummus – Guaca-Hummus! We’ve been on a major hummus kick lately. It’s easy to make, healthy, and super cheap to make so it’s a perfect snack for our family. It’s versatile so it never goes to waste in our house since it can be paired with veggies, pita chips (Stacy’s are the absolute best! 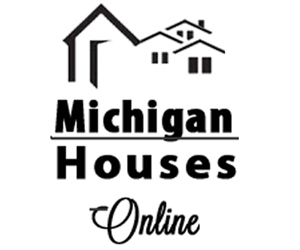 ), and even used on sandwiches instead of other high fat condiments. The other week I was cruising my Pinterest (add me) and came across a chart with all different hummus variations. Since I was getting a bit tired of the original recipe I use, I figured maybe I’d try something different. I took the basic bones of the recipe, but added a few extras for added flavor and tang. I’m so glad that I did! We’ve been obsessed with this new recipe and may have devoured it rather quickly. 😉 It’s a combination of hummus and guacamole and it’s delicious! Read below for recipe and let me know if you give it a try! I promise, you won’t be disappointed. Add all ingredients, except red pepper flakes, to food processor. Blend until puréed. Add reserved liquid from beans, if needed. Add red pepper flakes to taste. Refrigerate for several hours to let flavors enhance. Seriously easy! 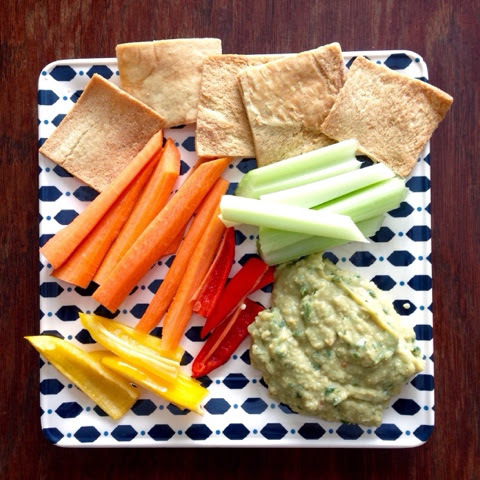 I love this as a midday snack with lots of fresh veggies and pita chips. I hope that you all enjoy this recipe and let me know what you think!